Professor Geeta Nargund is the Medical Director of CREATE Fertility. She is also a Senior Consultant Gynaecologist and Lead Consultant for Reproductive Medicine services at St George’s Hospital, London. Professor Nargund has published more than 100 peer-reviewed scientific papers including abstracts and also several book chapters in the field of reproductive medicine. She is a pioneer in the field of Natural and Mild IVF and Advanced Ultrasound Technology in Reproductive Medicine, and is an accredited trainer for Infertility and Gynaecological Ultrasound special skills modules by the Royal College of Obstetricians & Gynaecologists (RCOG) London and British Fertility Society (BFS). Professor Nargund pioneered the use of follicular Doppler in assessing “Egg quality” in humans. She also published the first scientific paper on “Cumulative live birth rates with Natural cycle IVF”. She is a co-author of the scientific paper on the innovative Simplified Culture System, which allows IVF to be performed without the need for a conventional laboratory. This scientific paper won the ‘Robert Edwards Prize’ for the best paper of the year in RBMonline in 2014. Geeta is the Co-Editor-In Chief of The European Scientific Journal, Facts,Views and Vision in OBGYN and is on the International Editorial Board of the Scientific journal, The Journal of Human Reproductive Sciences. 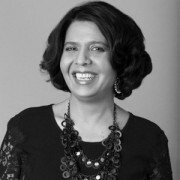 Professor Geeta Nargund is the President of the International Scientific Society for Mild Approaches in Assisted Reproduction (ISMAAR) (www.ismaar.org), a UK registered charity. Through her leading role, she has been the voice for women’s choice, health and education in the field of Assisted Reproductive Technology (ART) globally. She promotes safer, less-drug-orientated and accessible ART. Geeta was also a member of the WHO (World Health Organisation) expert sub-group on infertility guidelines. She is a member of the steering committee of the Special Task Force on “infertility in developing countries” set up by the European Society for Human Reproduction and Embryology (ESHRE), and was the Chair of the ESHRE Special Task Force on “Mild ART”. She is a regular invited speaker at national & international scientific conferences. Geeta is a Visiting Professor at various universities; Hasselt University, Medical Faculty (working at Genk University Hospital), Belgium; St Marco University Lima (oldest university in Latin America) and SDM Medical College, India, and has also been a senior governor of primary and secondary state schools in south London. She is actively involved in research into making IVF more natural, accessible and safer for women and children. She is the Chief Executive of the UK National charity, Create Health Foundation. This Charity funds and supports women’s health education in the UK and in Africa. Professor Nargund is a regular speaker at Westminster Health Seminars on Health and Social care in the UK. She has also been an invited speaker at the women’s health conference along with the members of UN and also at a European Women’s conference on “Female Quality of life in the developed World”. She appears in Tatler’s Doctors Guide for 2013 and is also an associate member of Guild of Health Writers UK. She cares deeply about and has been actively involved in charities promoting education, women’s health and development, equality and social mobility in the last 15 years.